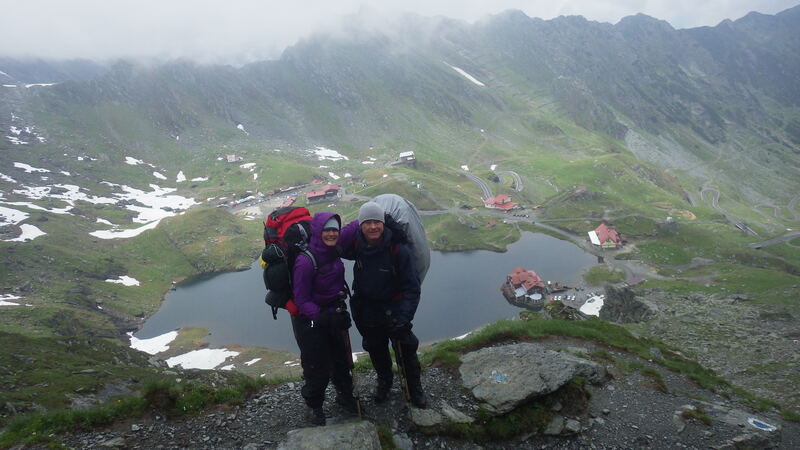 After asking the question “How DOES all this kit fit in one rucksack?” it was time for 201 Field Hospital and a few lucky others to embark on an arduous expedition to Romania for 9 days trekking the Transylvanian alps followed by 3 stunning cultural days. We met our guide Florin Banner, an ex-Romanian soldier and part of the Romanian army’s mountain division, at Bucharest airport. Within minutes of meeting him we were on the road to the regional capital Brasov. Day two started in Brasov touring the city with our guide, visiting the walled city gates and the beautiful Black Church. Next work, we stocked up on supplies then finally made it to the mountains. After a short hike we set up camp besides a babbling stream and enjoyed a beautiful sunny evening lulling us into a false sense of security. Day three of sun, deep forested valleys and the start of two straight days of ascent into the foothills of the mountains and rapidly learning the importance of properly testing your rucksack. Florin took us up through an ancient forest and we were fortunate to see the beautiful scenery around us. As the rain set in at our first lunch stop, the waterproofs and rucksack covers came out and stayed out for the next seven days. Morning equalled the sound of dogs and rain. Florin explained the shepherd dogs that roam the mountains are amazing animals that guard the economically significant herds. They were happy once we were no longer a threat and had entered the alpine terrain. All day was spent going uphill laced with a few plateaus and crowned with morale lifting shelter giving some protection from the elements for lunch. Later, as we made Camp 2, the mist obscured the challenge that loomed over us for the morning. The fifth day (rain) of course started with 4 hrs of uphill, the group were used to the weight but the weather was keeping spirits down. The majority of the day we hiked but the mist kept the views from us, and as we reached our shelter for the night the rain showed no signs of stopping. Just occasionally the mist lifted to tease us with spectacular terrain but then closed in to create a claustrophobic world again. 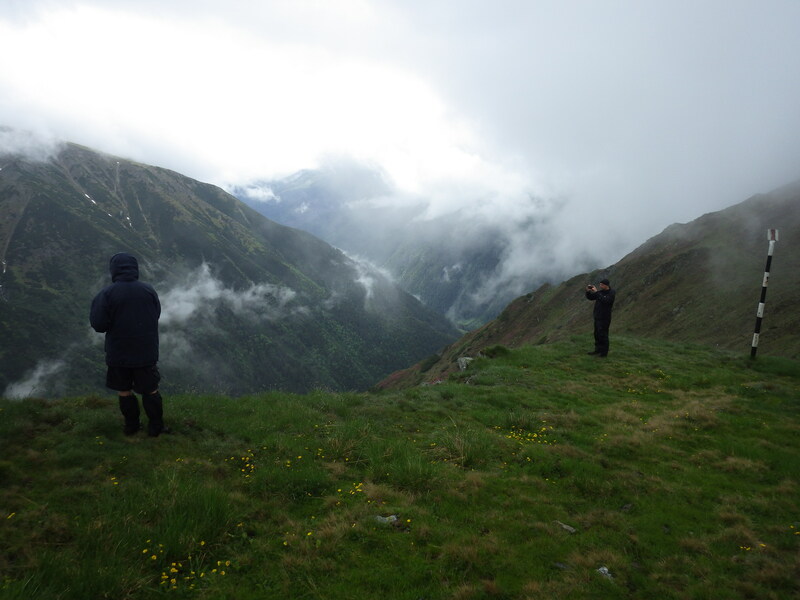 Day Six (rain and mist), the highest summit of Romania! After hours of climbing and with our kit well and truly soaked the group made it to the summit (Moldoveanu peak: 2544m) and despite the weather conditions the St. George and St. Andrews crosses appeared! 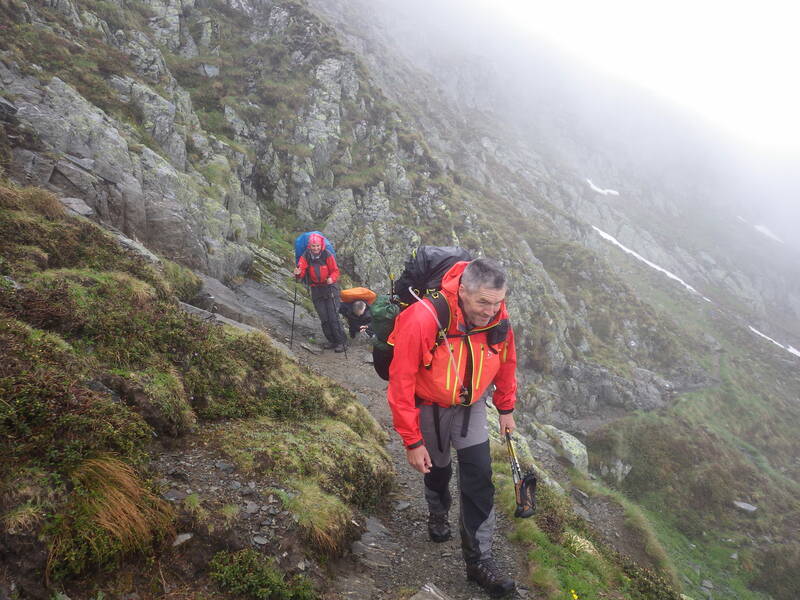 With morale at a zenith we descended but we were soon snapped back into reality as one of the group had a slip, fortunately no serious injury, but brought home the risk of the mountains and the weather. 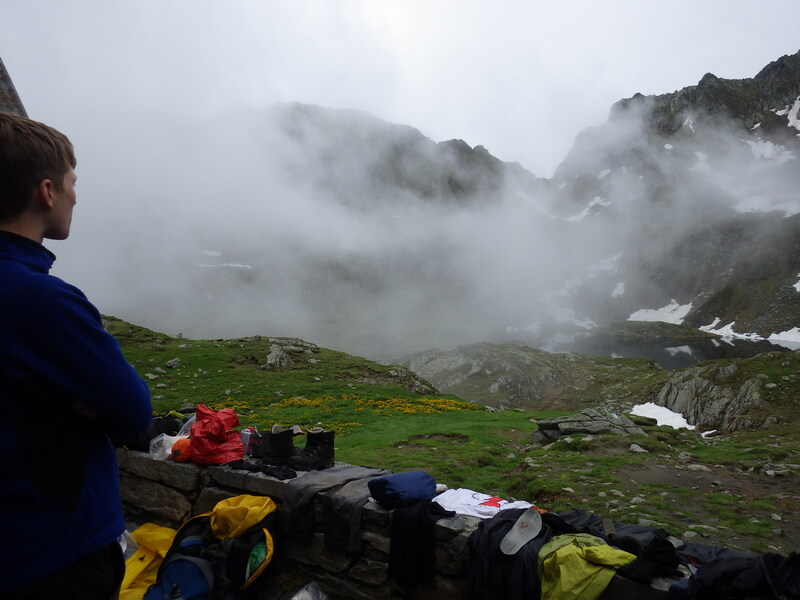 For a respite and to have some chance to dry out we diverted to a mountain hut located by a picturesque lake (made more so by patchy fog). Grateful for a night indoors, nose to tail Alpine hut style sleeping, and after some very peculiar tea we adjusted our route to take into account lingering snow. We hiked out to a corrie lake which although close is difficult to reach due to aggressive terrain. The day stretched on for over 10 hours. This lake proved to be to be the final camp of the trip. Despite a few hours of sun, the next day it was decided that we would descend the following morning. Fresh snow and high winds had decided the matter. So after 8 days and buckets of rainfall, snow, sun and howling gales the group rejoined civilization. The next 2 days were spent at a guest house owned by the Vlads (direct descendants of Vlad the Impaler) who introduced us to Romanian dishes such as cheese doughnuts – very, very good! 72 hrs of culture followed crowned by a trip to the Saxon town of Sighisoara, justifiably described as the jewel of Transylvania. Ex NORTHERN FANG on the whole was arduous and enjoyed by all, despite the weather, and proved to be an unforgettable experience. It was a brilliant display of Reserve and Regular soldiers pulling together and embarking on an expedition. Romania itself proved to be a country of many surprises and one that challenged all who ventured into it. Key Lesson – a trusted local guide is worth his weight in De-Hydrated meals!